An ornithophiles dream! 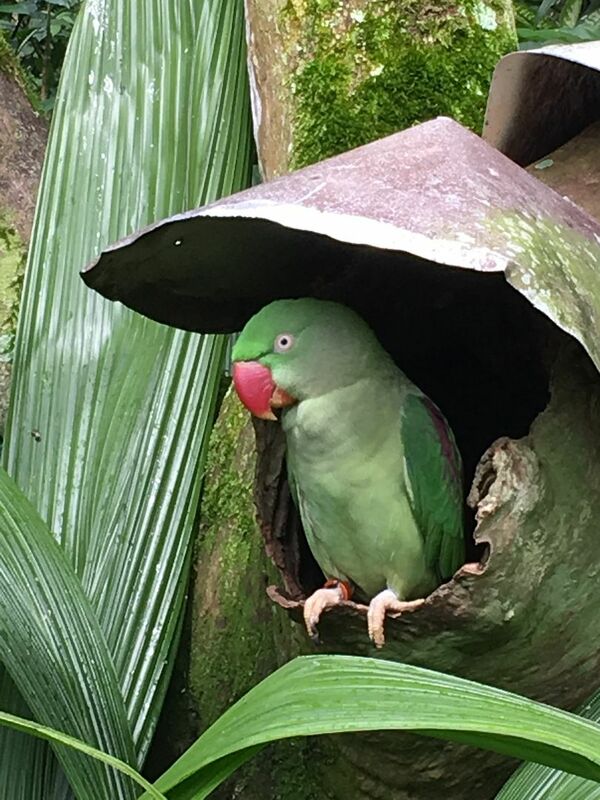 Yes, bird lovers will go wild for Birdworld Kuranda. Their home is the Australian rainforest village of Kuranda Heritage Markets, the perfect setting for this collection of almost 60 native and exotic species of colorful Amazonian macaws, South American conures, cockatoos, lorikeets, Alexandrine Parrots (pictured above), and more. If you are lucky, you’ll see the endangered cassowary, the third-tallest and second-heaviest living bird. A dagger-clawed, living dinosaur that is flightless, this unique-looking creature has it’s own enclosure since it is generally solitary and shy. The other birds are flying freely around, occasionally landing on you to take a tug at your backpack or eat food from your hand. Walk into this giant, free-flight aviary and experience an immersion exhibit with lots of photo opportunities!